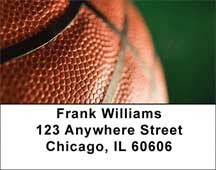 Support the National Basketball Association (NBA) with Basketball Address Labels, featuring various objects used in the very physical and exciting game of basketball. Support the National Basketball Association (NBA) with Basketball Personal Checks, featuring various objects used in the very physical and exciting game of basketball. Basketball Personal Checks - Colorful and Fun, these basketball checks are the perfect choice for coaches, players, and fans alike! 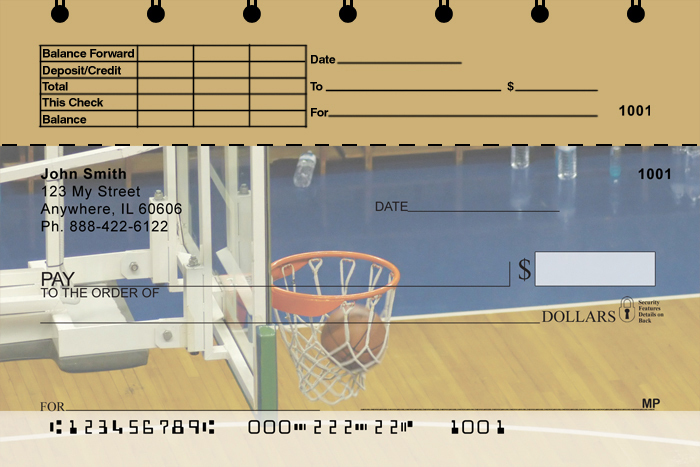 Share your love of the sport with these colorful basketball personal checks. Carousel Checks is pleased to offer one of the newest checks in our Sports series, Basketball Checks. These Basketball Checks have four rotating images guaranteed to have you score a 3 pointer every time you use these checks! Basketball Top Tear Personal Checks feature four close-up images of the sport in action while also enhancing the equipment involved. Basketball is one of the world’s most popular and widely viewed sport.